The Big Idea: Investigate with Grover to find out what makes certain items sink and other items float. 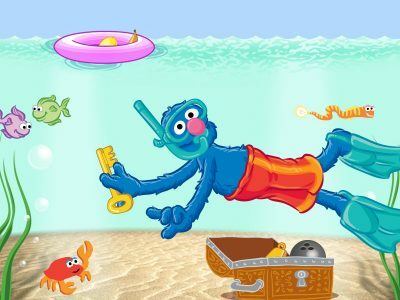 Help kids play the sink-or-float game with Grover. Talk with kids about which items sink and which items float, and why that might be. Then, do your own sink-or-float investigation with toys, soap, and bottles of shampoo. Make a hypothesis, a thoughtful guess or possible explanation, for why something happens about which item will sink or float, then try it out! You might draw pictures of each item in a chart that shows your findings.